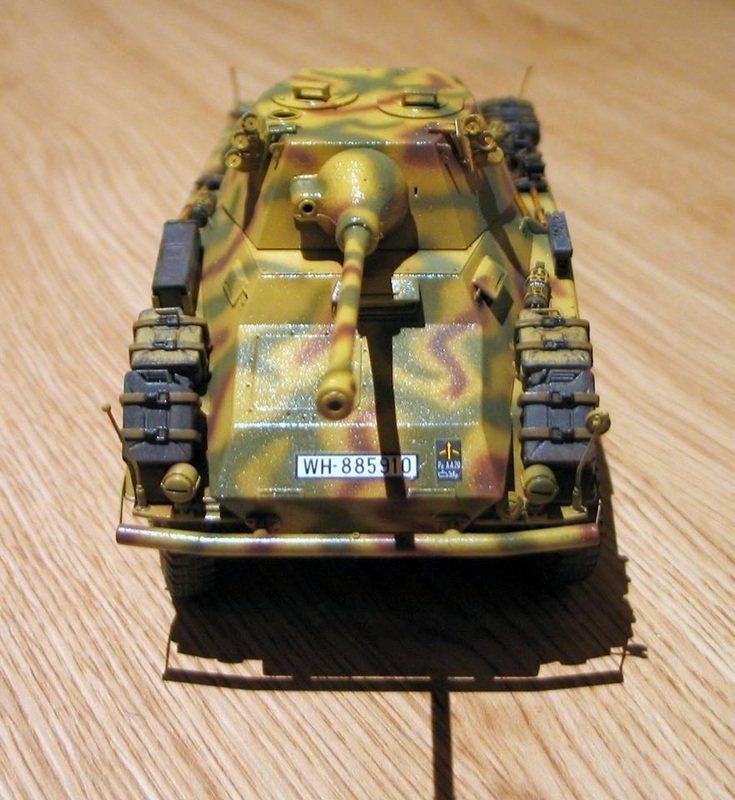 Anthony is a new member to Leicester Modellers and this is his maiden voyage with an article all gleaned from his posts on the Leicester Modellers Facebook Page. 1. 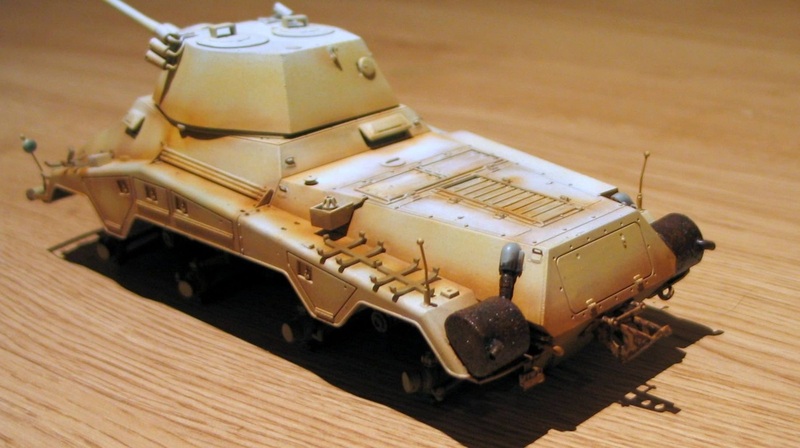 Dragon's Sd Kfz 234/2 'Puma'. One of 4 variants on this chassis during WWII and presented in their '39-'45 Series. 2. Dragon's box comes with an interesting array of detailed pictures on both the box bottom and sides. 4. First up is the instruction sheet for stages 1 and 2. 5. 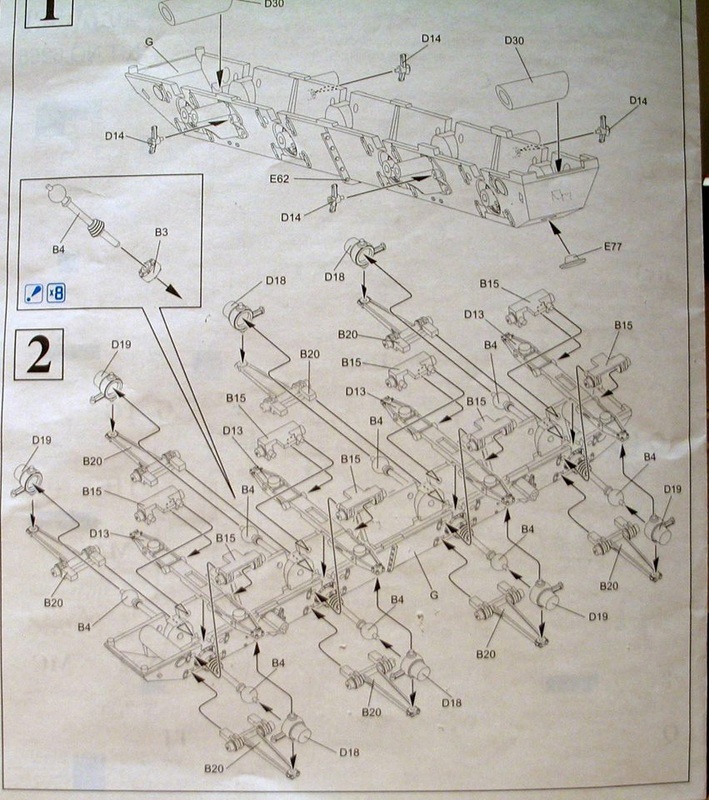 This is upside down to the instruction sheet. From left to right I have added components as suggested. If you look at the ball-joints I am cutting off the pins as I build hoping it will allow me to position each wheel to look like the Puma is turning. 6. This is how it should look when finished and I have tried to show that it is simpler than the plan would suggest. As usual Dragon make it look busy and to some it will seem complicated on the first viewing. But, if you break it down it's not so bad. 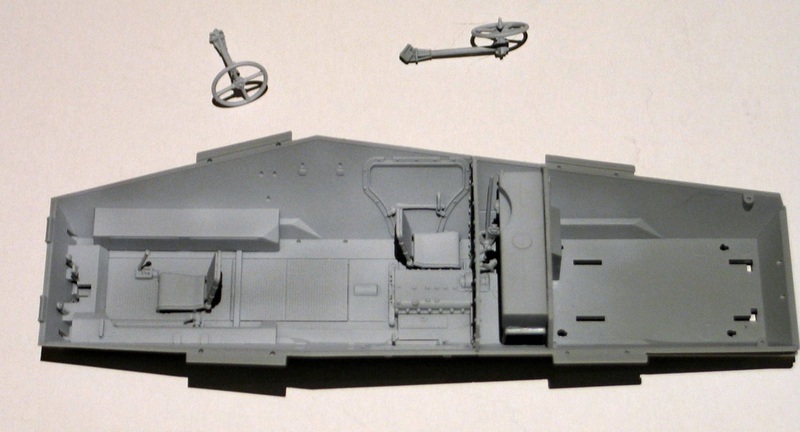 I know that Dragon instructions can put many people off trying to build one of their models. So I thought this was the best way to present the build. 7. I was a bit surprised when I stopped building last night. I realised it was six in the morning when I looked at a clock! Overall, the build is good but most parts have three or four sprue lugs to be cut off and the cleaning up gets a bit tedious at times especially on the small parts. 8. 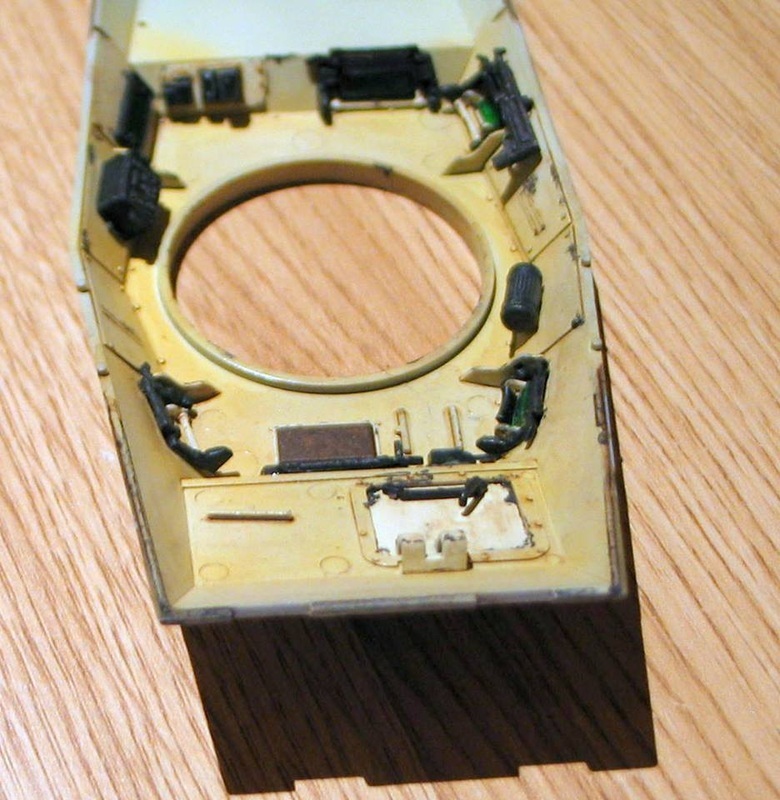 I started work on the interior which is not bad and has some detail to allow the hatches to be left open. No engine detail so I have used the closed parts for that. One of the next jobs is driving me mad! The vision hatches which have to be fitted onto the sides with three other parts and so far they all fall apart when I tried a dry fit. The instructions don't explain which part of the clear part is painted or if it is all painted! I guess I will find out eventually if I can get one to stay together. In section 8 of the plans I've marked with an arrow where you have to remove a small section of the lug to enable you to position the wheels in a turn. 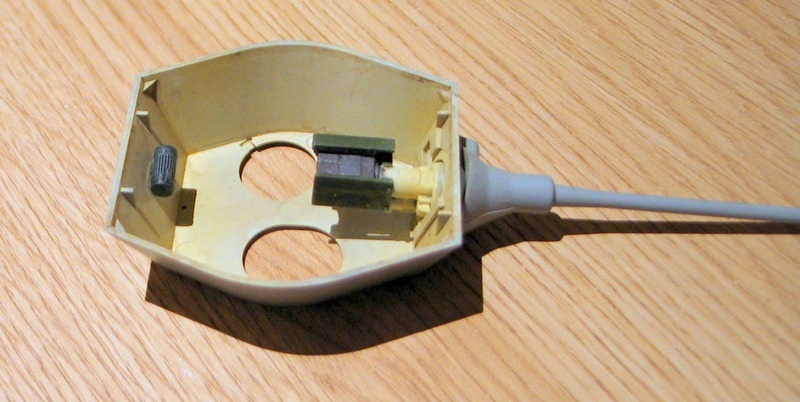 Each one of the parts D24's,D23's and D15's will need this doing. On the same part of the plan I have put a cross against D7(D8). They need to go in the same position at this end as the other parts D7(d8) on the left of the plan. 10. Angling the front road wheel mounts. I managed to find some pictures of some eight-wheelers in the process of turning which allowed me to decide on the position of the wheels on this build. 11. I have also put a picture of stage 15 and a cross against C16(C15). They need to be fitted in the opposite order and not as shown on the plan. 12. Just in case I decide to leave some hatches open I have painted the interior and added a few Verlinden bits to busy it up a bit. And, If you think the interior is a bit yellow, these guys smoked 40 a day! 13. When I put the top on you can only see a small amount but it is better than an empty view. I wanted to try something different so I have sprayed the bottom hull with hull red followed by a coat of clear. Then a pin wash of black. After that a mixture of hull red,black and black/brown were sprayed in thin coats to give more depth. 14. 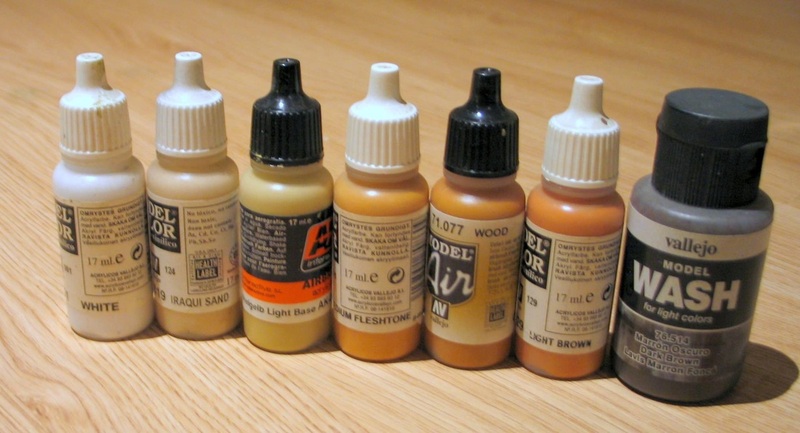 And finally, a highlight of flesh tone on all the bits that I want to come out lighter. I will be using dark yellow over the top. 15. 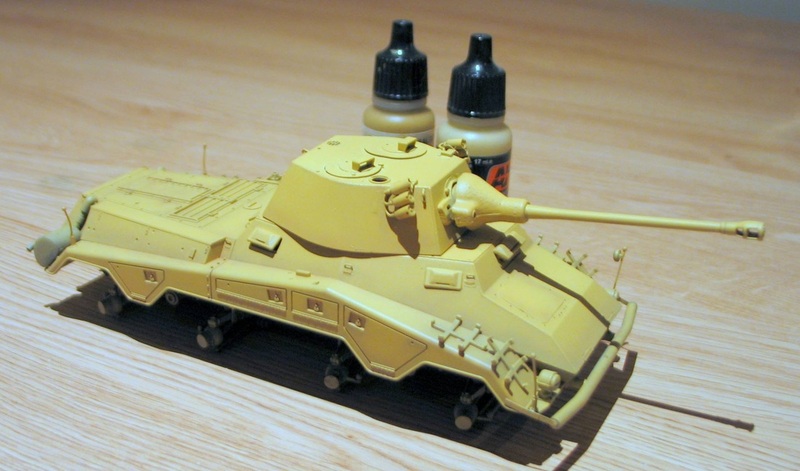 I sprayed some coats of dark yellow and one mixed with flat brown. 16. One normal and one mixed with buff. It looks more yellow in real life than on the pictures. Coated with clear and ready for washes and pigments. 17. I have added washes and pigments plus a few chips in grey. I think it is starting to look dirty and used enough for now. 18. 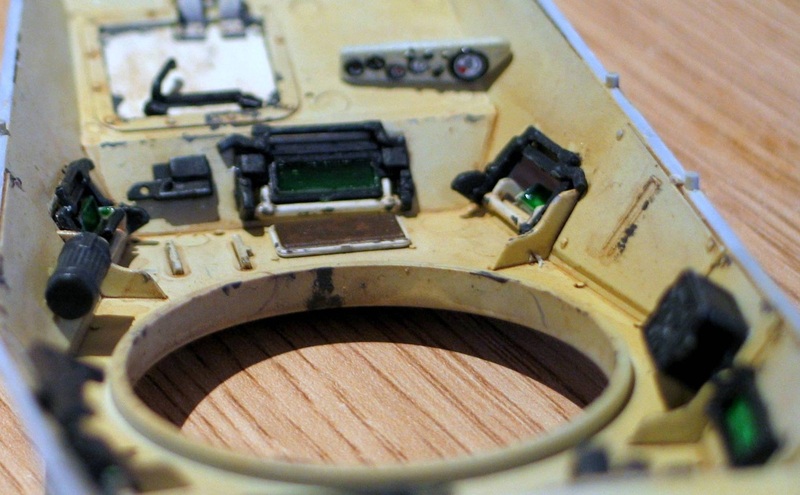 Detailed shot of the washes & chipping to the hull underside. 19. I was walking around Morrisons last week and I saw these pegs and thought. I bet they will come in handy for something. And, they have! 20. This is probably the last time anyone will see the inside! 21. 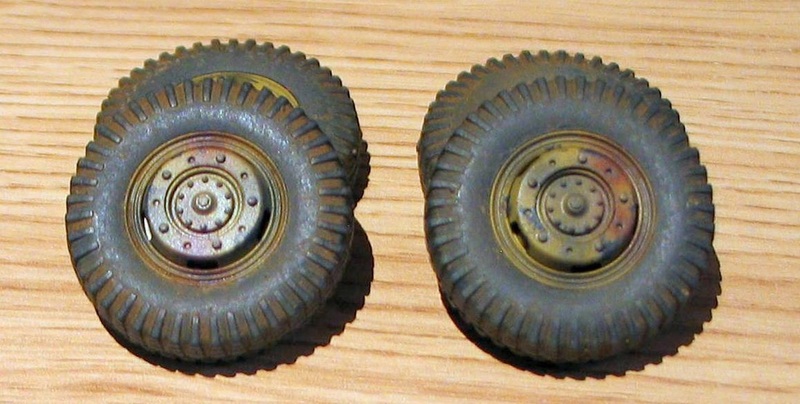 The underneath without wheels. They will be properly fitted at the end of the build. 22. 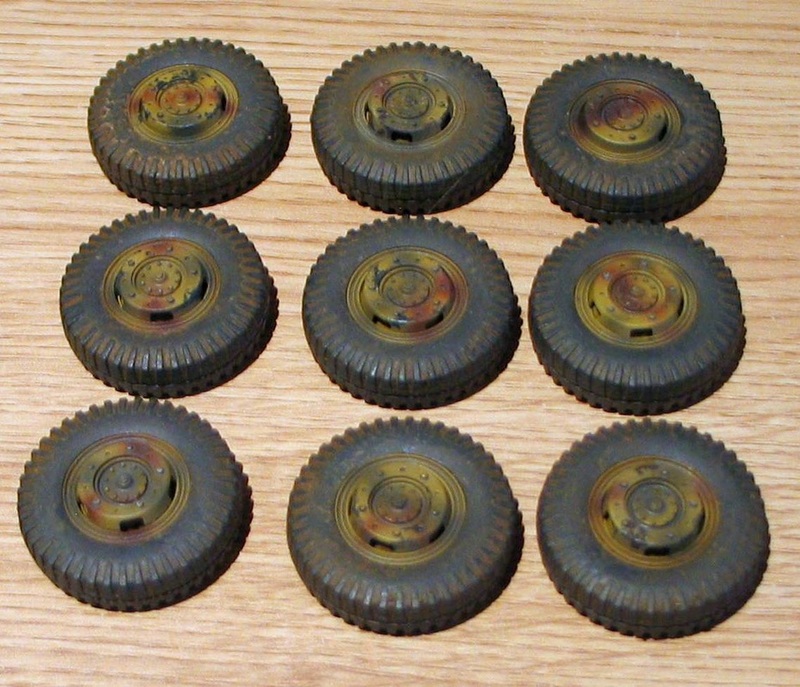 The tires were painted with light and dark rubber and then various washes of pigments have been added followed by a dry-brushing of black-grey on the edges of the treads. 23. The hubs were painted first and given a thin wash of grey. 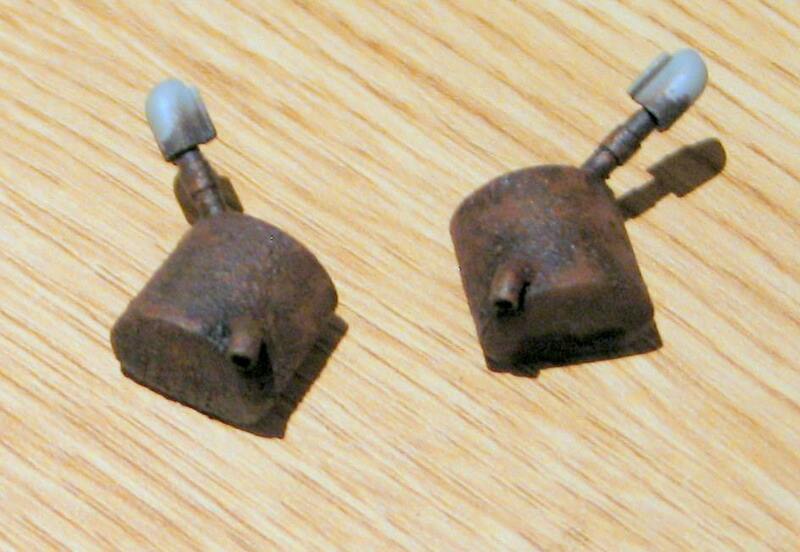 Then some of them were chipped with black grey and then dark steel powder was used. 24. These have taken hours and I am still not sure I am happy with them. 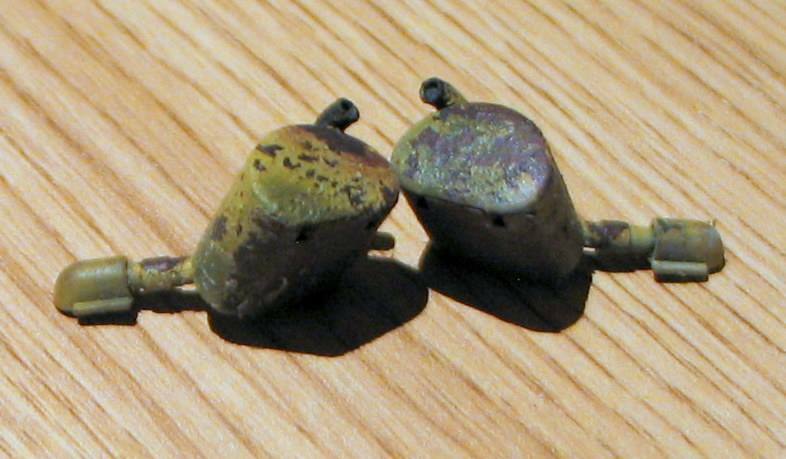 A couple had a mix of flesh-tone with rust powder added. 25. The insides are done at last. 26. I have added one of the inside because I had forgotten to add the dashboard! 27. Sections 16 deals with the front lights and distance poles and bumper. 28. The side skirts are painted and ready for fitting. 29. I also tried a dry fit and I cannot see any problems so, on with the build! 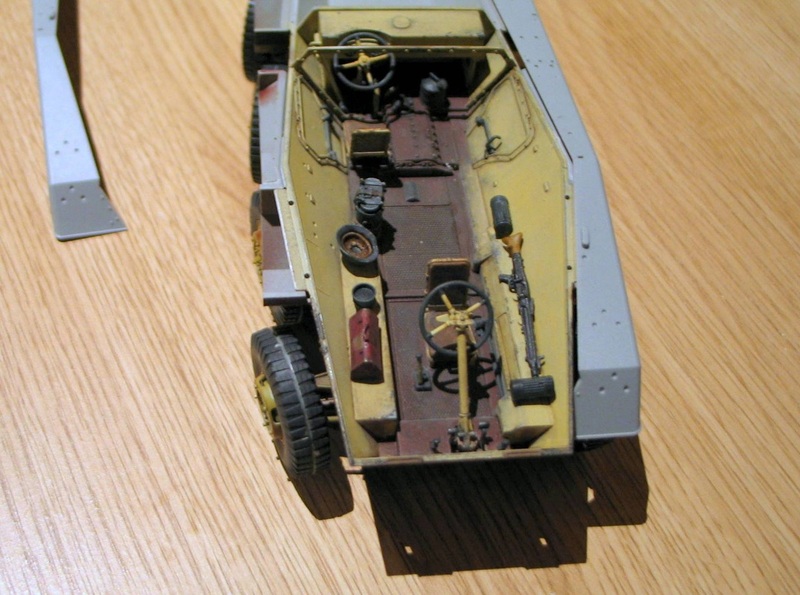 This also shows the top and fenders fitted as in section 15. 30. A little Turret work. Strangely though, there is not so much detail in here. 31. 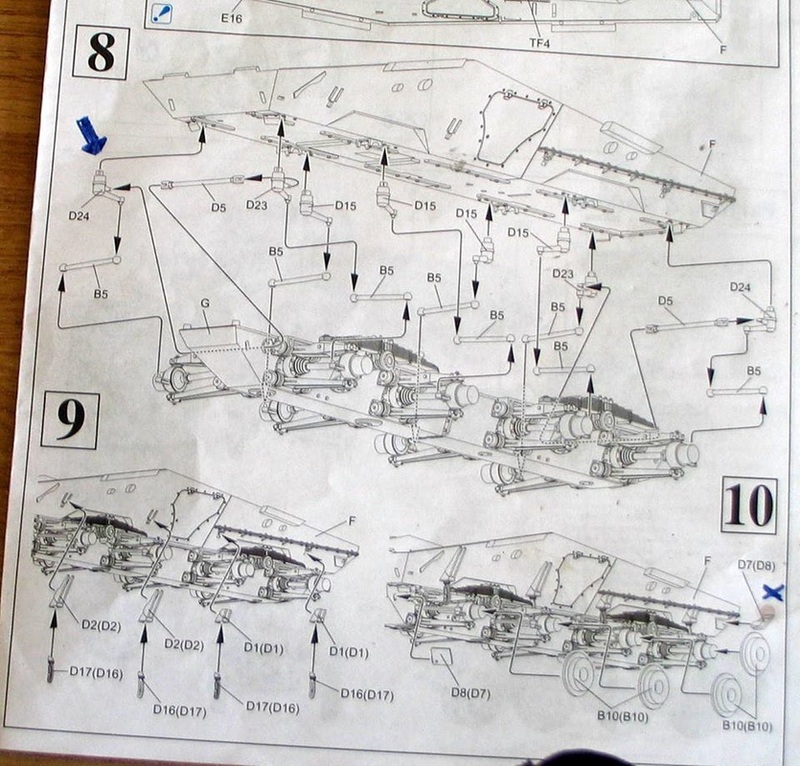 Section 18: building the rear light, fender bottoms and the exhausts. Part E42 (x) should be reversed with part E47 otherwise, they won't fit! 32. 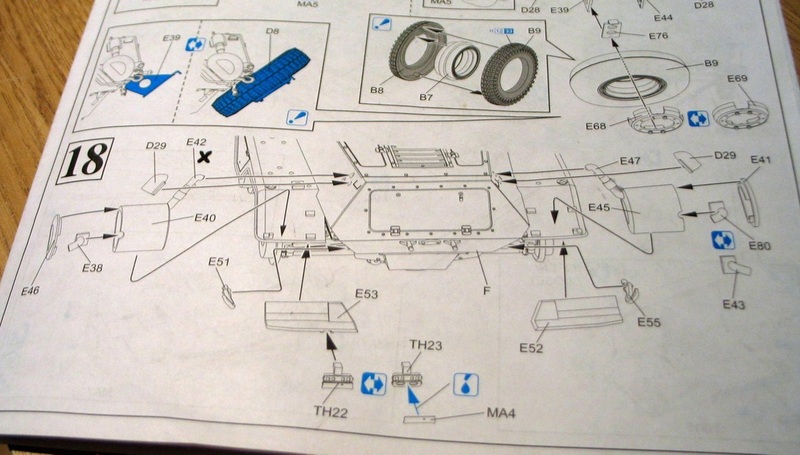 Section 17 deals with the bracket for the spare wheel. 33. Exhaust after being stippled with Vallejo White Pumice. I am going to use it as a base for rust. 34. 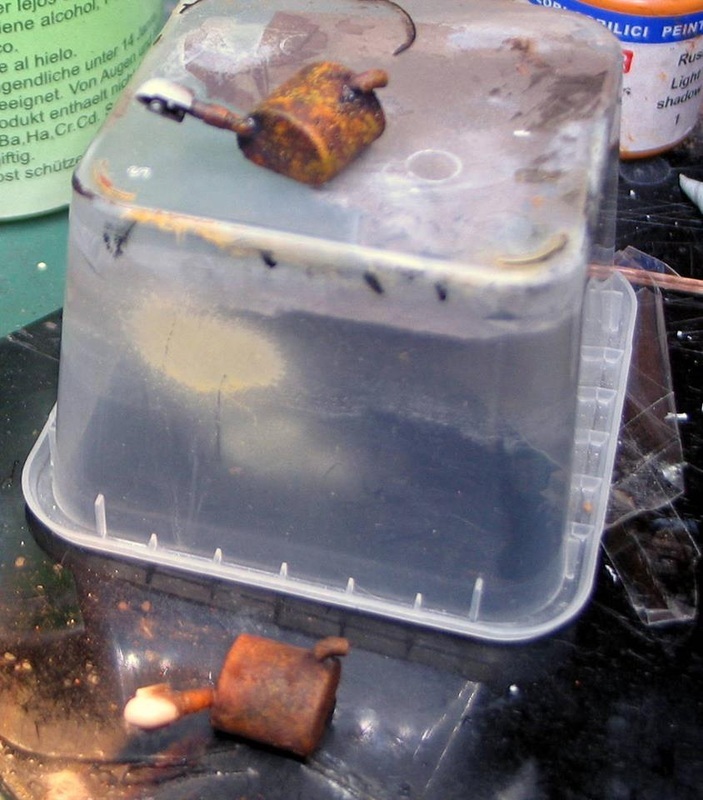 The idea is to rust everything first then cover with clear or varnish. After that I will use a chipping medium and finally paint. White pumice stippled on and a coat of Matt. Followed by Black/Brown. 35. Then I will remove some of the paint to expose the rust. 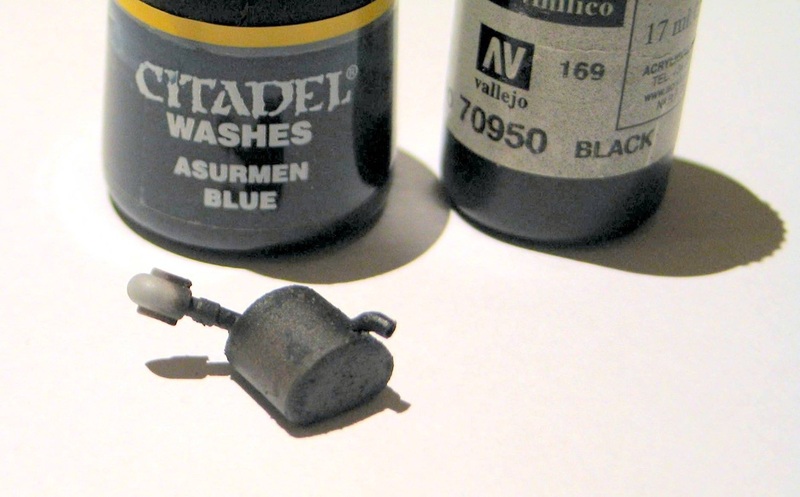 A small amount of black sprayed on followed by a few patches of Citadel Asurmen blue. 36. 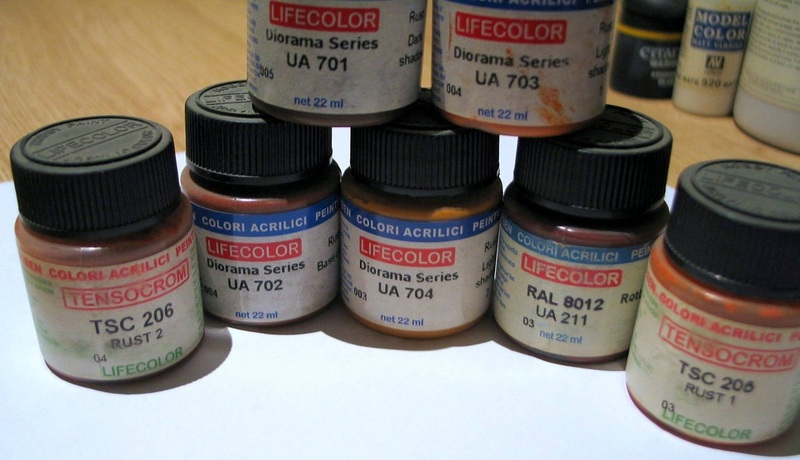 Next these Lifecolor rust colours will be sponged on. I Just need to let it dry and then apply another coat of Matt before chipping fluid and paint. 37. I sponged all the colours from Lifecolor rust paint set then applied a coat of Matt. 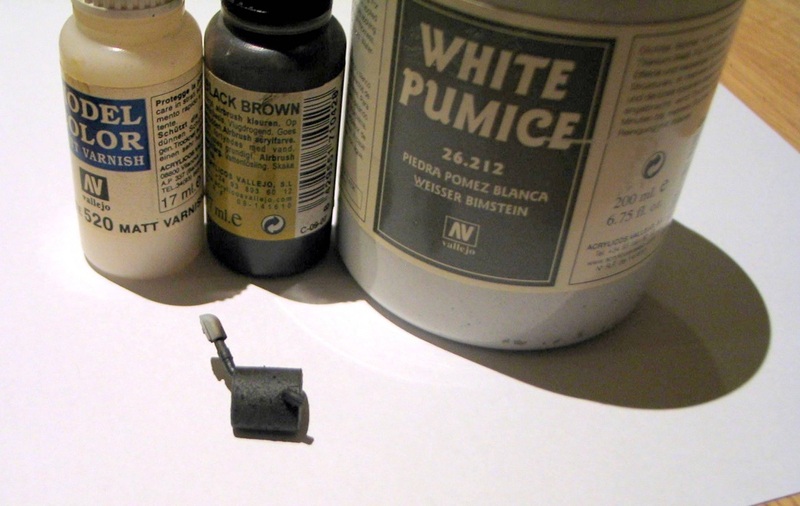 Next I stippled Umber pigment after using thin washes of brown, black and Prussian blue. I used the umber while the surface was still wet. 38. More Matt coat and washes dabbed on randomly followed by little more umber pigment. Once all the colours, pigments and varnishes have fully dried off the outcome is as you see. The next stage is painting and I am going to try an experiment using different base shades. 39. 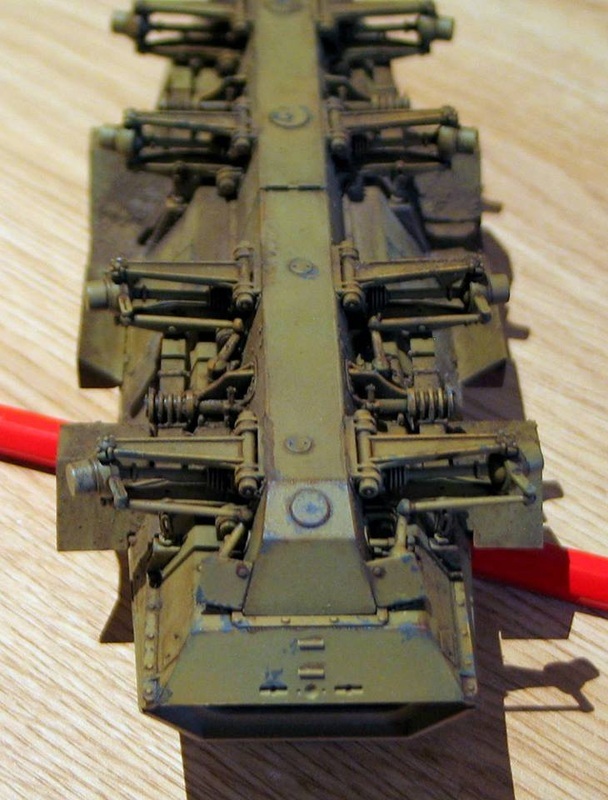 I used the metal parts which come with the kit for the distance guides. 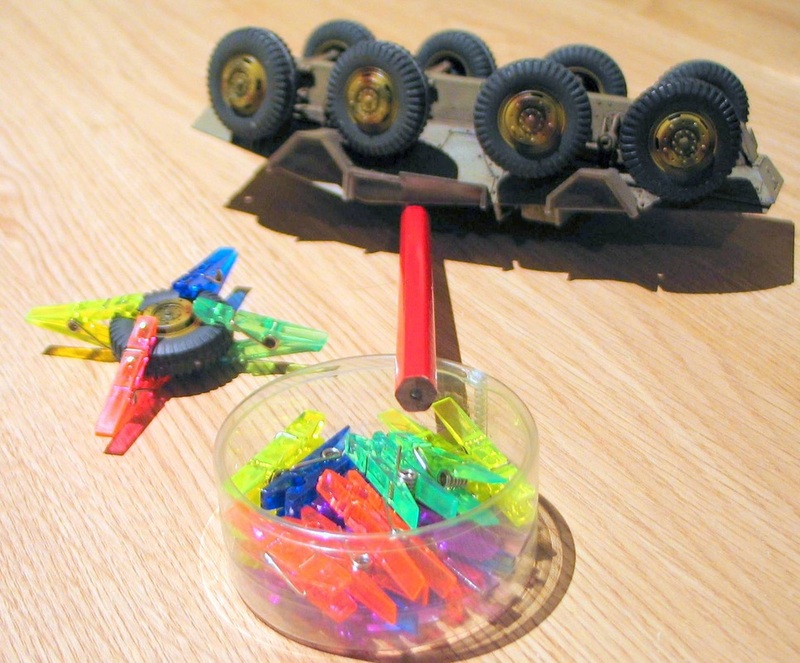 These are straight but you can use the plastic parts as a guide to bend them. I also added lead wire for the light cables. 40. 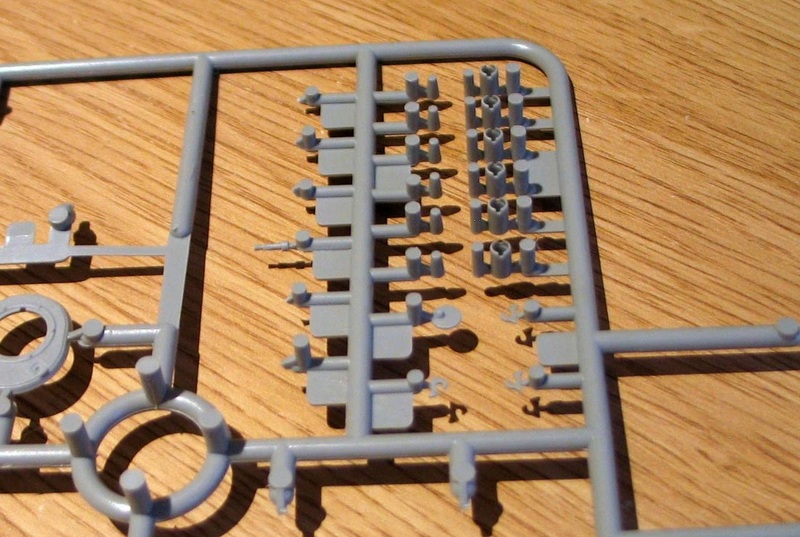 I think I have mentioned the excessive sprue lugs before. 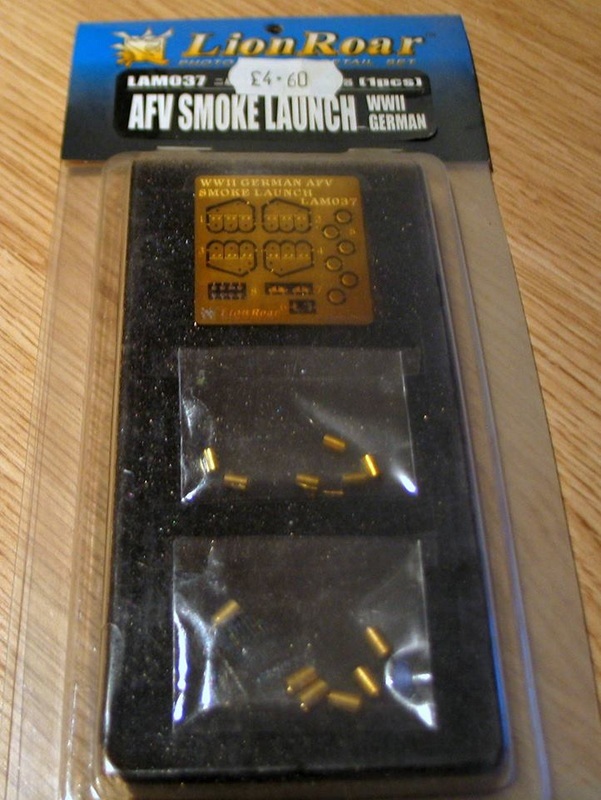 These are the smoke launchers. I have decided it will be quicker to use brass! 42. 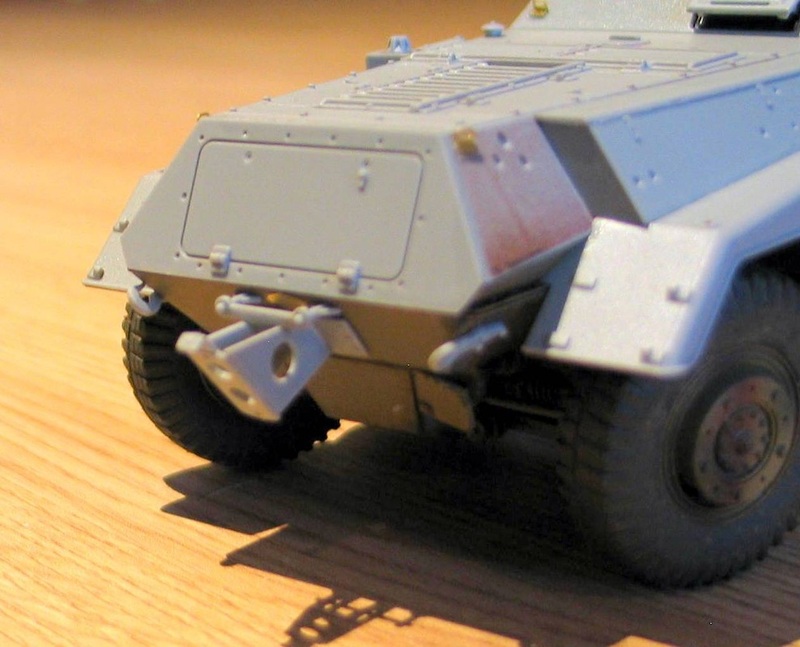 I have used pumice on the mantlet to give a bit more of a cast look. 43. 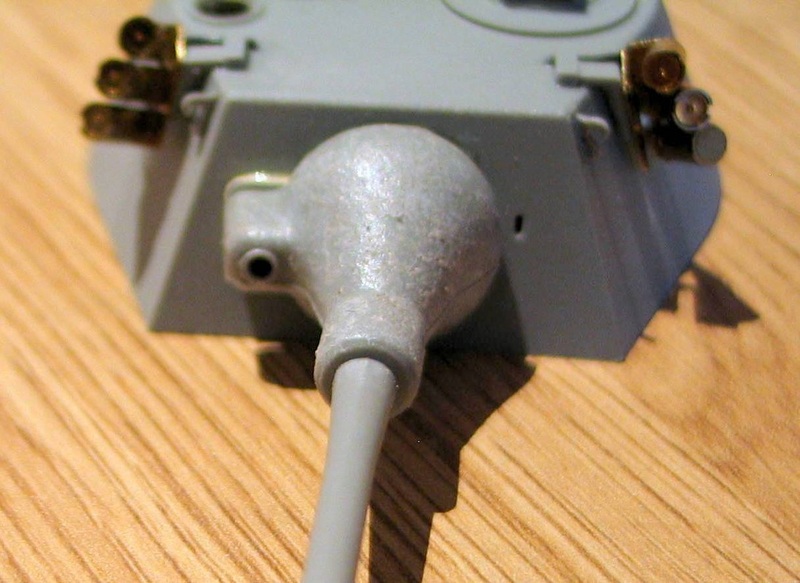 I have also used the brass smoke launchers and added some lead wire for cables. I don't really like modulation as I think it can look too false sometimes. So, I am going to try base variation to create a more subtle kind of shading. I have no idea if it will work but this model is all about trying something different from the norm. If it works then all well and good and if not it will still look like a Puma anyway. 44. Well this is the start of my base colour variation. So I have started with white on the top and worked my way down to light brown using the colours shown in the picture. 45. It will either make a difference to the final colours or have been a waste of time. I checked out the best base for yellow on the net and I found that most people agreed with white, whilst some said grey or brown. Then a coat of clear and a thin wash of dark brown. This now drying ready for more variation and additions such as the light units etc. Ultimately, I will be adding rust to the spare wheel bracket before painting. It should end up the same as the exhausts when painted and chipped, I hope. I have added Earth Brown and more White along with Buff to the shading. I forgot to mention that the whole model was sprayed with grey primer first. Spare wheel bracket was rusted along with bumper and a few other parts. 46. This is the final part of the base colours. 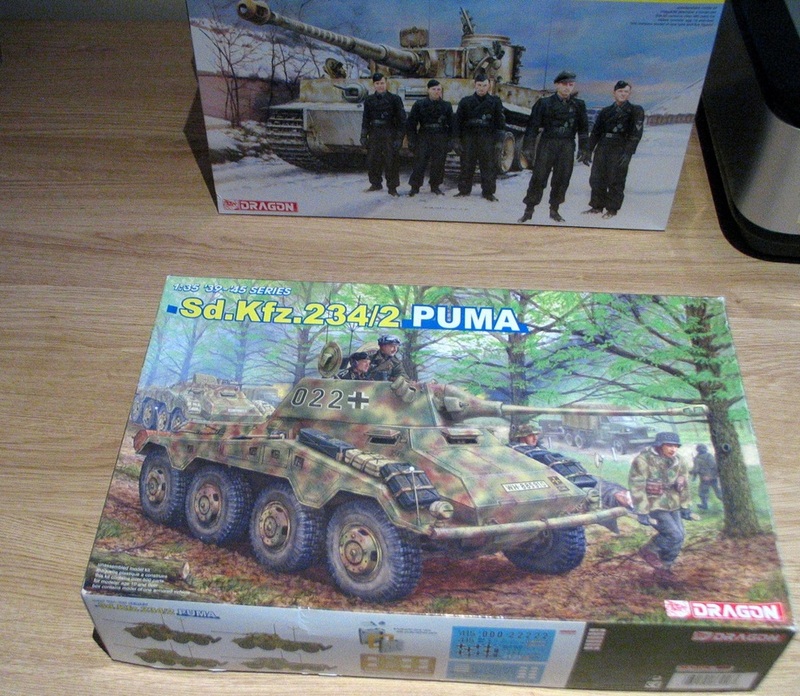 I have added most of the parts to the Puma except for the tools, fuel tanks and radio masts and a chipping solution was sprayed onto those parts. 47. I have also added the exhausts using "Tacky Wax" this will hold them while I spray the three colours onto the body. I will start to remove some of the paint with a brush and cocktail stick until most of the rust shows through. 48. I think the base coats made a bit of difference on the whole. 49. Well that's the Dunkelgelb done. About 20 very thin coats. 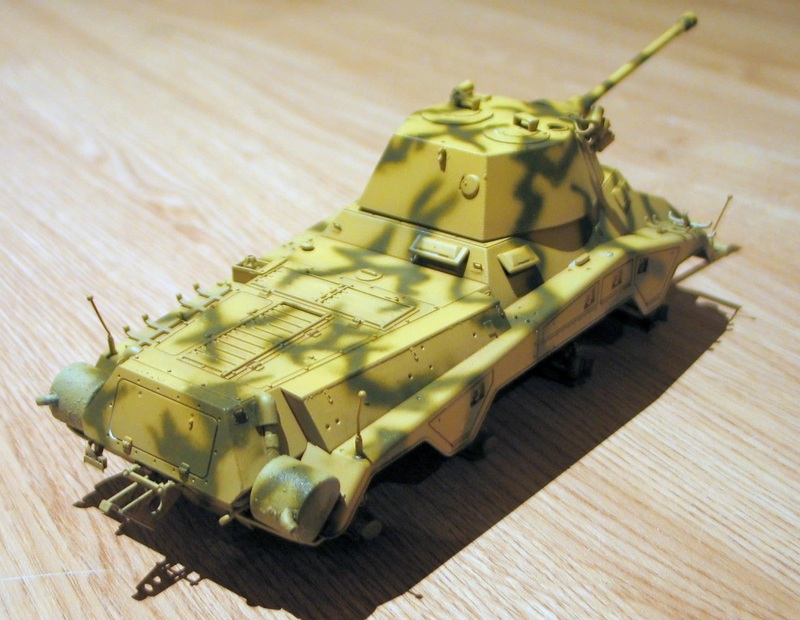 I mixed the Dunkelgelb with progressive amounts of AK-008 Dunkelgelb High Light. Maybe not as striking as I had hoped but it is visible in the flesh. Next colours will be the red and green. 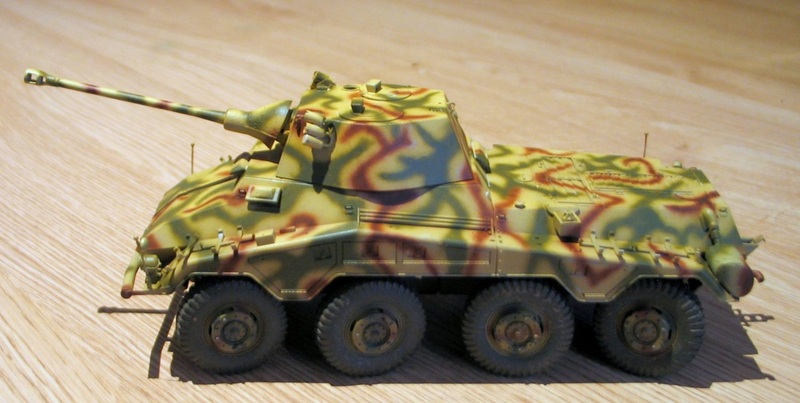 I have to admit that I have been scratching my head and deliberating how to do the cammo on the Puma. 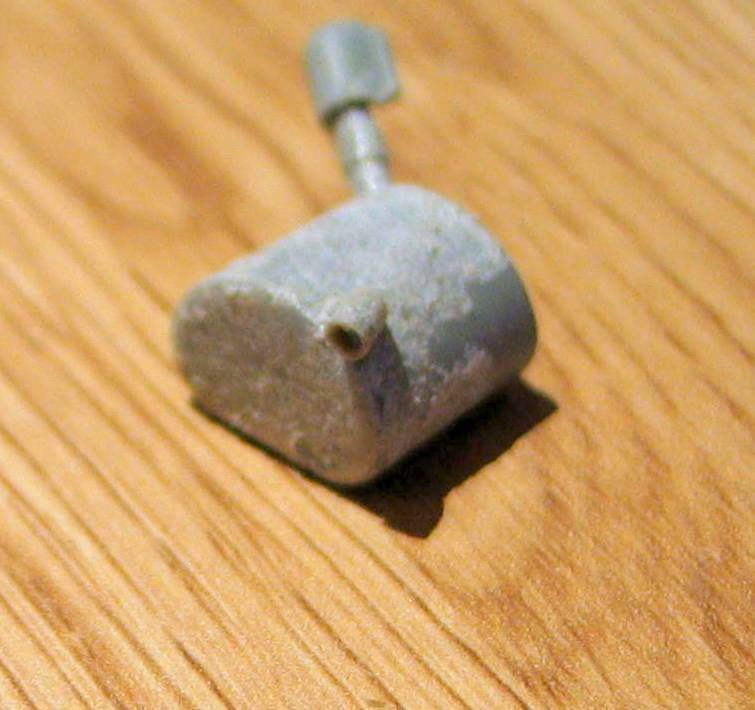 I have only attempted this finish once before and it was on my very first model about five years ago. The result was not brilliant. 50. 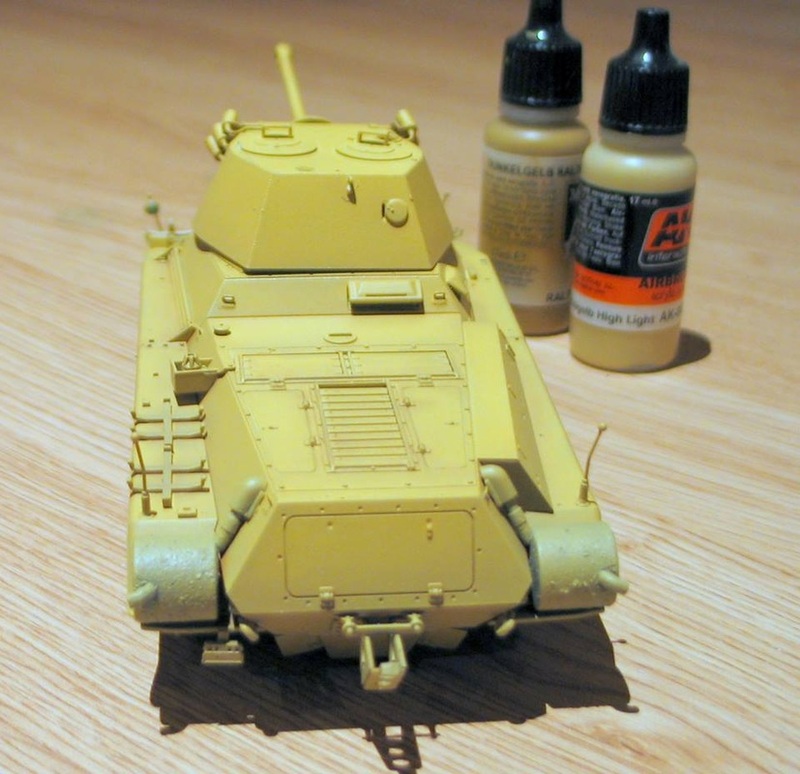 I decided to hand paint a rough outline in diluted white paint to give me something to follow as a guide and also it will give me a new base for the colour to be painted on and will stop any effect the yellow may have on the new colour. 51. And I am pleased to say that the white guide-lines have helped me to complete the green cammo. 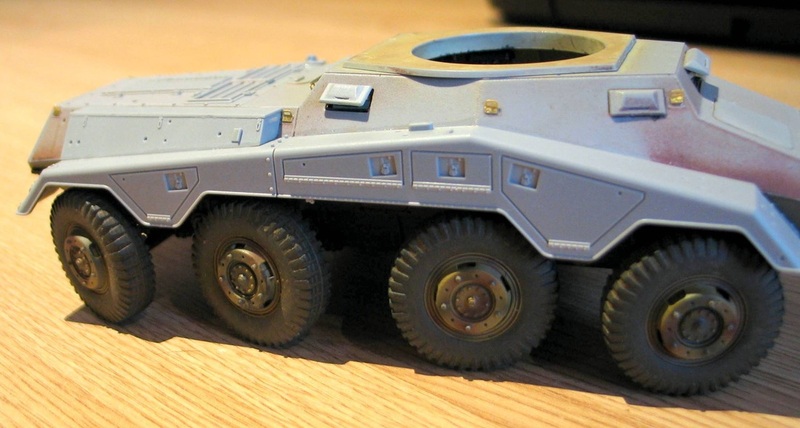 I have used a grey wash to give me a guide to work from on the Puma, more on that next-time. 52. 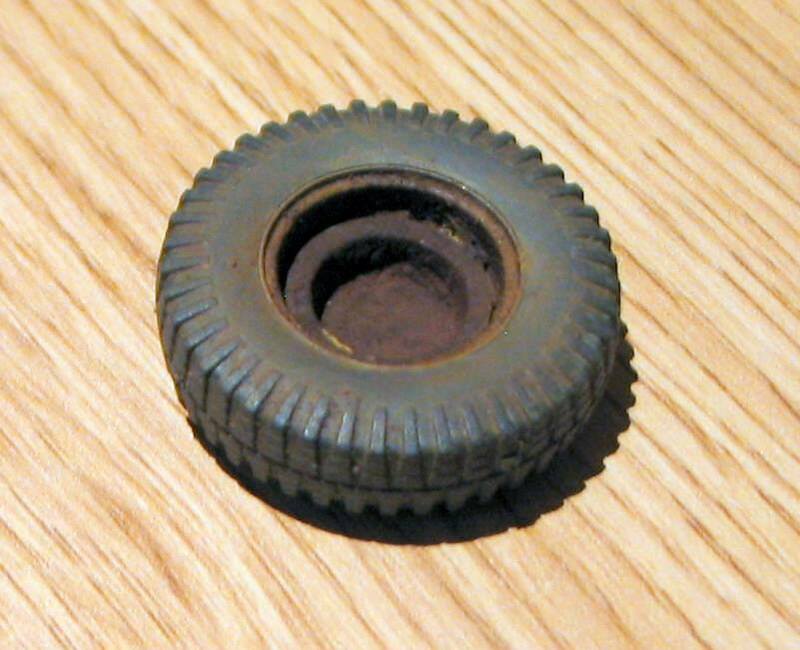 I have also worked on the spare wheel and rusted up the inside. 53. 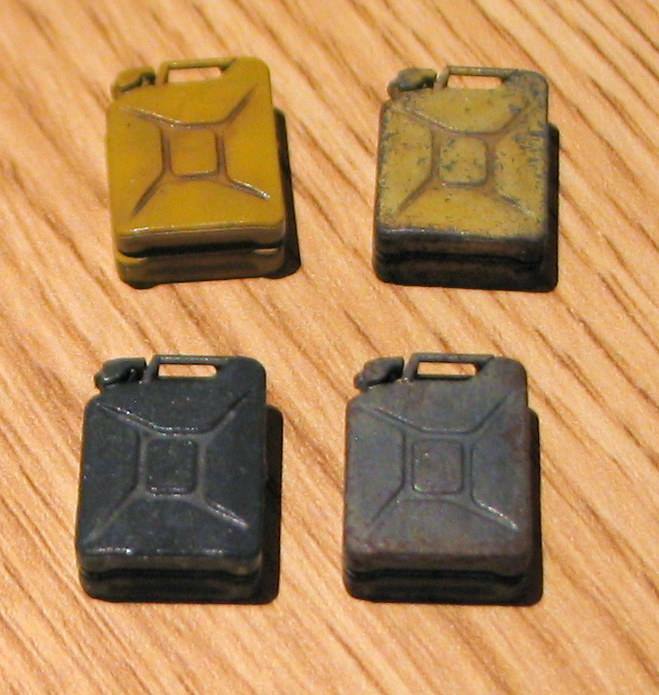 I have been weathering and fading the fuel cans. Well, two out of the six so far. 54. Well I have been plucking up the courage to do the red/brown cammo all morning. I worked on the tools and fuel cans instead. Then I thought what the heck let's have a go. 55. 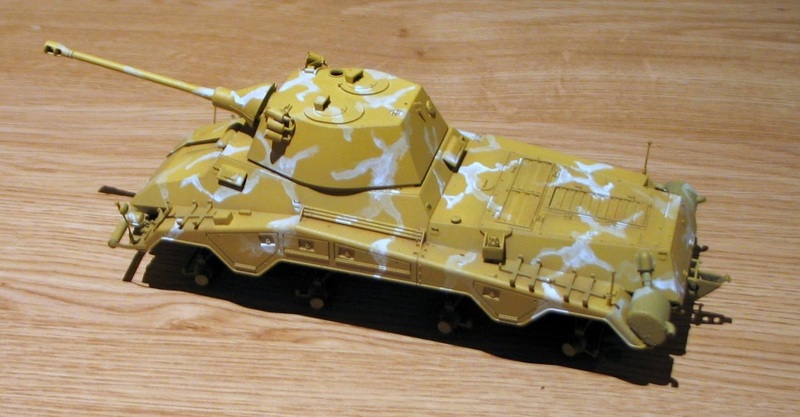 I sprayed a lot of coats of a really thinned down yellow mix at about a foot away from the model, until the three colours blended in and looked less stark. 56. 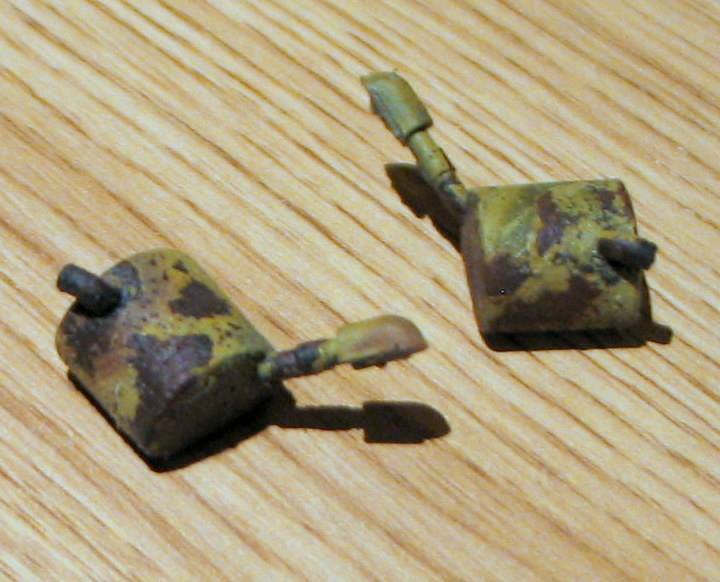 I used a dental flossing brush and water to remove the paint to reveal the rust underneath. That's what happens in real life. 57. Well maybe not with a dental brush but you know what I mean. 58. 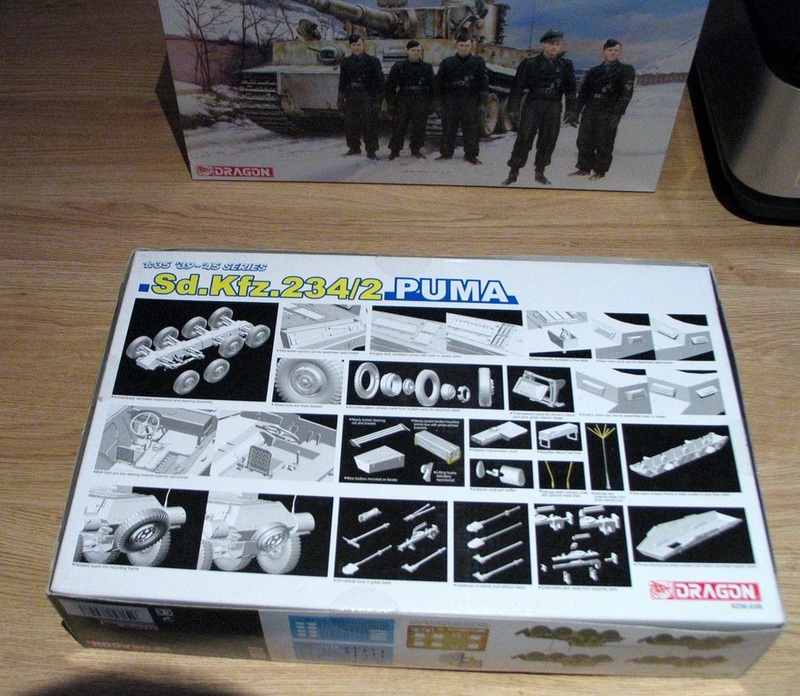 The build on the Puma is progressing. 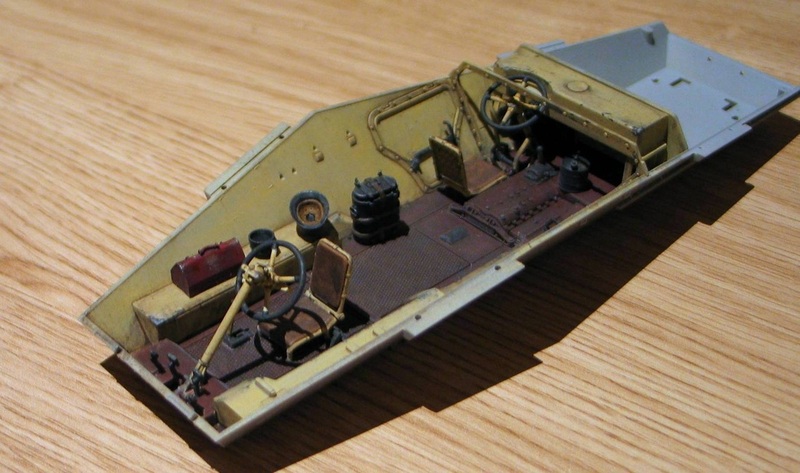 So far I have weathered and fitted all the tools, fuel tanks etc. 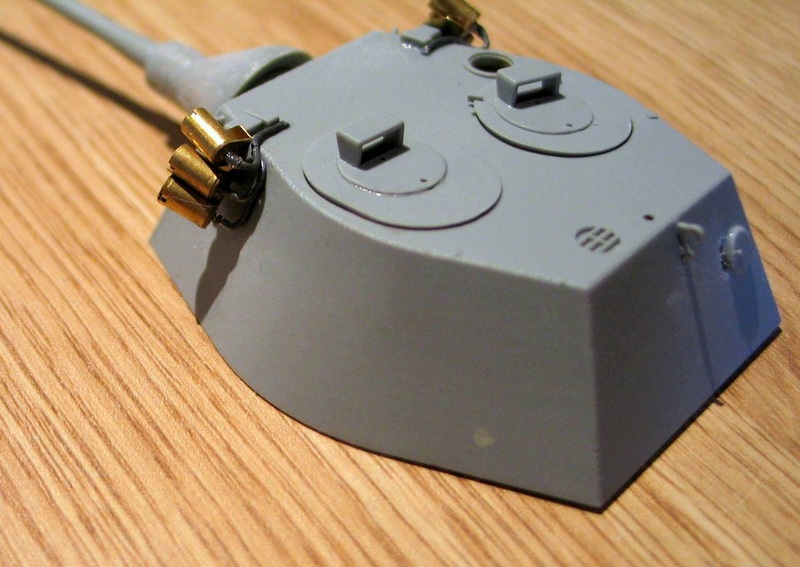 with just the last parts for the turret still to do. The wheels a now glued on and I have given her a coat of clear and started the decals tonight. I am thinking about putting in a couple of figures. My figure painting is not bad but I have real trouble with the faces. So I will see how they turn out first. 59. Next will be chipping and more weathering. With luck the Puma will be finished by Monday. All Finished Folks ....... hope you have enjoyed this journey with me?